Today, our good friends at Custom SLR launched a new project on Kickstarter and it’s called the Air Strap—a lightweight, breathable, and versatile alternative to traditional camera straps. Breathable vents and moisture wicking fabric channel heat and sweat away from your shoulder to keep you cool. Cushy neoprene padding absorbs shock for maximum comfort. Quick-adjust slider lets you shorten the strap to keep your camera secure at your side. When you need to take a photo, just pull and slide the strap to a longer length. Rotating buckle swivels, so the strap moves with you for better flexibility. Versatility. The Air Strap is compatible with most cameras. 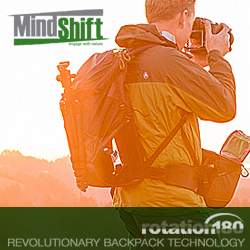 With an optional attachment, it can easily attach to any bag, such as a laptop bag or duffel bag. We reviewed some of Custom SLR's products such as the Split Strap and Glide Strap and we had nothing but praise. We can't wait to try out the new Air Strap and of course, we'll have a full review of it when it is available. For a pledge of $25 or more, you get the Air Strap and laptop strap attachment. $50 or more gets you both items and a black C-Loop. $100 or more gets you all that plus a Pro-Dot and M-Plate Pro. And for $250 or more, you get all of that PLUS dinner on Custom SLR in San Francisco (you'll have to pay/get there yourself). This lightweight and breathable camera strap provides more comfort and versatility for photographers of every kind, all at an affordable price. 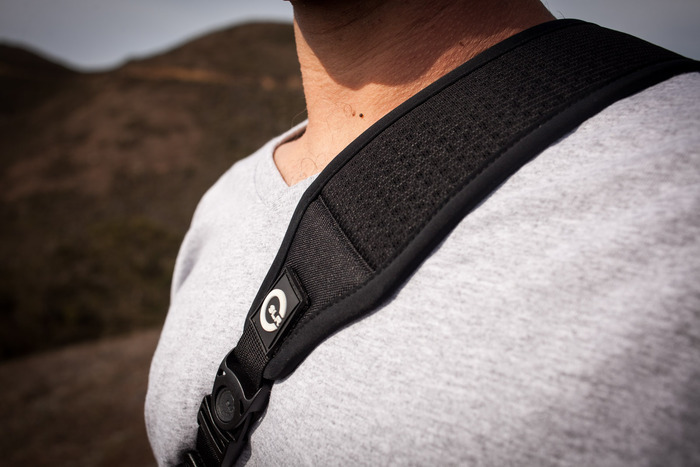 SAN FRANCISCO, California—November 14, 2013—With four successfully funded Kickstarter campaigns under its belt, Custom SLR, a photography accessories company in Silicon Valley, today launched its fifth project: the Air Strap, a camera strap that does more with less. Featuring breathable vents, moisture wicking fabric and a quick adjust slider, the Air Strap provides more comfort and versatility for any photographer looking to replace the uncomfortable, hard to adjust strap that comes with his or her camera. "Every photographer deserves a comfortable shooting experience," said Ivan Wong, chief operating officer at Custom SLR. "With the Air Strap, we wanted to create a professional quality strap that was affordable enough for anyone who uses a camera. We’re excited to deliver a feature rich strap at a great price point." Following the overwhelming success of its patent pending Split Strap, Custom SLR now has a second camera strap to add to its line of innovative photography solutions. The Air Strap features a convenient quick adjust slider that allows photographers to shorten the strap to keep the camera secure at their side when maneuvering through crowds and tight spaces; when they need to take a photo, they can easily pull the slider to extend the strap. For maximum comfort and flexibility, the Air Strap has cushy neoprene padding with wicking fabric on the top and bottom, and buckles that swivel with each movement. The Air Strap is compatible with most cameras, and with an optional attachment, it can be used with most bags, such as laptop and gym bags.